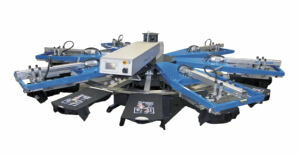 For multicolour printing/flocking on ready made textiles or cut pieces. Also for other flat materials. For any kind of Ink-Systems. 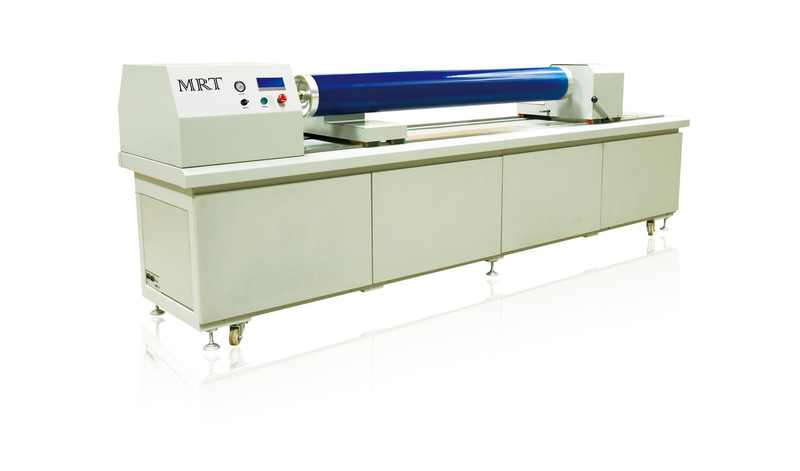 MRT blue-fina™ Laser Engine:Integrating several high technologies, such as 405nm laser diode, fiber dot-matrix, automatic focusing, light-power balancing, constant temperature controlling and so on, in to one, it provides revolutionary power for finer screen engraving. MRT engravine ™ Software :After tens of edition upgrade in past decades, as a profound and professional synthesizer of engraving technology MRT engravine™ Software not only belongs to MRT but also to the whole textile printing industry. MRT perfekt™ Hardware Platform:Decades of engraver-manufacturing experience, hundreds of successful user's case, thousands of vivid technical specific, loads more than perfectness. We are a Chinese screw compressor manufacturer. 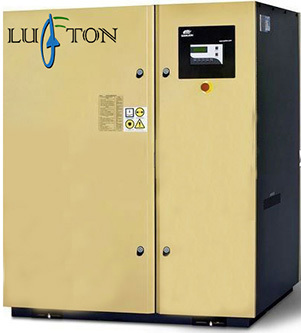 Lufton variable frequency screw compressor, made by Germanic airends. The depth oil/air separator, As Germany Hi-quality, best performance with atals copco screw compressor, good price! +Cinquefoil coupling with elasticity to reduce the shaking and abrasion, ensure the sensitive transmission and easier maintenance. +International brand Rotorcomp or GHH-Rand airend with latest lines rotor technology, saving more energy with higher performance. Rotor and bearing is with heavy loading design to less the trouble. +The seven generation PLC controlling system for the air compressor, with fully automatic working and controlling, Comprehensive protection and several compressor work with together, Remote Controlling, Data communication function. +High balanceable taper pulley, and top rubber tape, ensure the driven efficency, extend the maintenance period. +Air intake valve for the effectiveness and reliable working, with less spare parts, and less trouble on the frequency loading. +High performance and special-made motor for screw air compressor, with Class-F insulation, SF coefficient up to 1.15, and protection grade of IP54, imported bearing for the reliable working. +All service parts are easier to maintenance and lower cost. +Four-stage oil-gas dissociation system, patent technology of extremely low residual oil. Remark: 3PH, 220V, 380V, 400V, 415V, 440V, 480V, 50hz / 60hz screw compressor are availiable. © Copyright 2015 Mithunram Tex.